The Memorial, which was designed by Sir Hubert Worthington, OBE, RA, FRIBA, and built by the Imperial, later The Commonwealth War Graves Commission, stands in the Medjez-el-Bab War Cemetery. 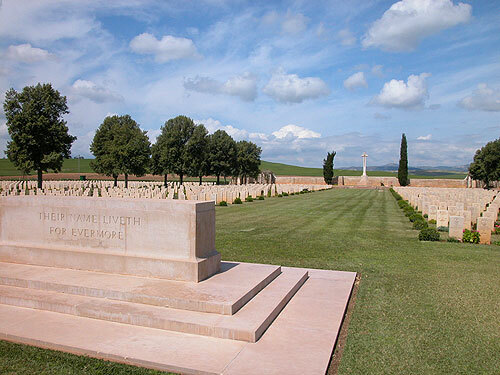 The War Cemetery, three miles outside the town of the same name, is about forty miles to the south-west of Tunis and is set in a beautiful countryside with hills on two sides. The Memorial was unveiled on the 16th November 1957.